Should I build a timber pergola or steel pergola? 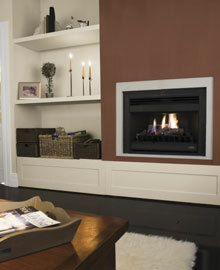 You may like the look of timber for its rustic appeal and character. Timber allows you to be very adventurous if you wish with your ideas and style. Of course you will also want to stain the timber to help preserve its qualities and the colour choices are never ending. If your home is more modern than traditional in design, you might like to go for a steel pergola to add to its modern features. Steel can be beautiful also in the right setting and is something that will withstand the years without having to do much at all to it. It will all depend on your personal preference whichever medium you choose, and when your new pergola or verandah is finally up and finished you will be wondering how you ever managed without it. Take a look at our gallery full of patio designs and pergola styles to help you choose which style is right for you.. 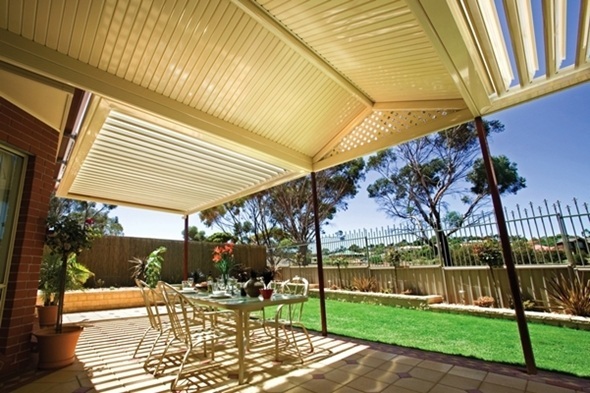 Here are some ideas that you can implement to make 2013 a fabulous year in Melbourne in which you can experience all the four seasons outdoors, in the comfort and protection of your undercover Pergola, Patio or Verandah! January – The start of our Melbourne summer means more outdoor living and socialising so having a pergola with a covered in roof allows you the freedom to entertain without worrying about sudden weather changes.We are usually relaxing away from our work life in this month and of course want to spend as much time as possible outside hopefully being shaded by your new pergola. Installing outdoor lights underneath the pergola will add a touch of beauty and makes the whole area look very special. February – This undercover pergola has most likely become your favourite place to be to relax under in our great outdoors. If you want to be unavailable to the mozzies trying to make a meal out of you maybe consider screening in your pergola with clear blinds, these are also useful if the wind is a little blowy and because they are clear, they are not very noticeable. March – Signifies the beginning of autumn and usually one of prettiest seasons in Melbourne. Autumn is a gentle still time and with the approach of Easter there are a lot more opportunities to show off your lovely pergola to any lucky guests you choose to have over. April – With the cooler weather almost upon us it is a good time to consider some outdoor patio heating for extending the hours you can spend outdoors under your covered pergola, and as an added incentive ask us about our free patio heater or if you would prefer you can choose to a free bbq with any new patio installation. 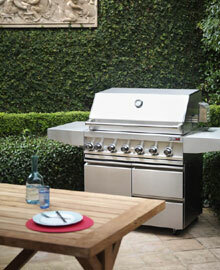 May – How about watching the footy outdoors under the pergola with the patio heater warming things up a little? With lots of comfy furniture to lounge on and maybe a fully wired surround sound system installed and your favourite team’s colours hanging up you are ready for action in your own private domain. June – Okay here comes winter, there are lots of leaves everywhere that need to be swept up and tools to be put away until the better weather arrives again. Time to put your feet up in your room outdoors when you have finished your garden clean up and admire all your hard work! July – There is no need to hibernate away anymore during the winter months now you have your outdoor covered in pergola. It will look lovely with the lights turned on and the patio heater turned up. Your invited guests will have no qualms about leaving their warm homes to visit yours when they know how welcoming and pretty your outdoor space is. August – This is usually our wettest month in Melbourne, it always seems as if there is more night than day because the days are so short. No need to feel dreary anymore about being stuck indoors because your covered in pergola with its comfy cosy furniture allows you to spend precious hours outdoors. September – Yay spring has sprung! There are lots happening in September in Melbourne such as the footy grand final and the school holidays. Imagine watching the grand final with a beer and a snag outside under your pergola with the TV tuned to in the match. How much better would the atmosphere be by experiencing it outdoors, almost as good as being at the ground! October – Well the kids are probably still off school for another week and it would probably help your sanity if they are able to be entertained outside in your purpose built patio, if it’s raining – no problem with the pergola fully covered the little darlings will be dry and out of your hair. November – Melbourne in November means the spring racing carnival with the highlight being the Melbourne Cup. If you do not want to brave the crowds at the racetrack the fabulous thing to do is have your celebration in your own backyard under your pergola. The opportunity to invite more guests is great because it is so much easier to clean up the outside room with its chilled out feeling than worrying about a mess being made inside your home. December – Deck the halls! The weather is warming up, Christmas is around the corner, time to decorate the patio with tinsel and maybe a real Christmas tree that drops lovely smelling pine needles, that were so hard to vacuum up from the carpet indoors. That will not be a problem anymore though because this year the tree is under the pergola with the lights switched on where you can see it as nature intended – outside. Christmas dinner with the family out there on the patio will be extra special with the tree so close and no more worries about the kitchen or dining room being too small to hold everyone, the outside space has taken care of all those annoying problems. Pergola blinds are a must because there is nothing nicer or more relaxing that being able to sit looking out over your garden in your own screened pergola or patio area. It provides shelter along with beauty where you might like to read snooze or just daydream the day away. You don’t have to worry about flying insects or any irritating bugs, just sit back and relax with privacy from the outside world. There is a certain serenity you can achieve whilst just sitting in a room such as this that is not really attainable in most other rooms of a house. On a cold day they allow the lovely sunshine to penetrate through without the need to be huddled over the heater to warm up. During the spring and summer seasons you have shelter from the same sun and with the windows open into this space the lovely outside breezes come inside to cool it all down. By adding a glassed in patio to your property you are also increasing the value of your home. A lot of home buyers do not want or need the added responsibility of a swimming pool along with its ongoing expense, a complicated landscaped garden can also be off putting, but a glass patio is something everyone will just love and get much use out of. You obtain a considerable amount of new living space in which to relax from the outside world or as extra space for the family Entertaining becomes a breeze in your enclosed patio and guests love to look out onto the garden whether a formal or informal gathering, Christmas decorations take on a whole new beautiful appeal when strung up inside your lovely new enclosed patio. Screened enclosed patios usually have tiled or wooden flooring installed for durability. While both need to maintained to some degree, a mop will suffice on a tiled floor and a quick sweep over with a broom is usually all that is needed on a wooden floor. Any spilled food or drinks just need a quick wipe up compared to carpet that you may have in the rest of the house. So, if you love your home and want to add tremendous value and appeal to your property, consider the gains for you and your family by adding a fully enclosed patio, you will wonder how you ever managed to enjoy your home without one. 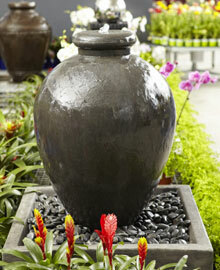 Or visit our website for a Free Quote. Enquire Here. A sometimes neglected aspect of home ownership is the landscaping element. If you are the vendor looking to sell your property this neglect and lack of maintenance is a real turn off for prospective buyers. Do not ignore curb appeal, it is usually one of the defining factors in house selling. Even if you do not wish to sell and are living in the house of your dreams, if your garden is in disrepair it will lower the satisfaction you obtain from your home and make your street unappealing. Along with decorating your home on the inside you need to decorate your home on the outside and any landscaping that is performed will add tremendous value to the property. Whilst gardening can be a chore for some, the majority of Australian get a lot of satisfaction from doing their gardens up and this is something you can involve your children in from a young age. A well manicured lawn is a pleasure to look out on from your windows and also for neighbours who walk past your home. Having a lovely green lawn is a perfect setting to your patio and pergola. If you are troubled with brown patches or missing grass on your lawn it can really undermine the look and appeal of your property. These problems may have been caused by any number of factors including lack of maintenance, pets urinating on the grass or burnt patches from the sun. Fixing up these patches is fairly easy, dig up the brown bits and aerate the soil underneath with a fork, sprinkle grass seeds on top and water in. Keep the water up to the seeds and growing grass, also keep a watchful eye on any birds which may like a meal of these seeds! By doing bits of regular maintenance such as removing old dead plants and trimming back shrubs and trees, you save yourself a lot of work in the long run. Instead of having to devote a whole day or weekend to this you can save a lot of backache and toil if the little things are kept under control. Try to ensure you plant your garden according to the plants needs for sun or shade, consider which way the sun moves in the sky and read the labels on all the plants you buy. Give consideration to the type of soil you have also and by following these simple steps you are well on your way to watching your plants successfully thrive. 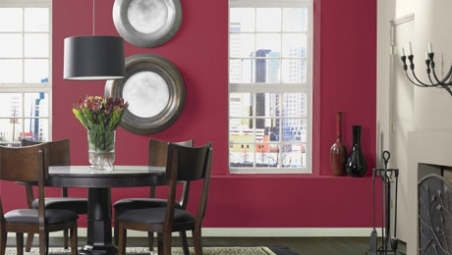 Have you subscribed to our home improvement mag yet? Go to the bottom of the page and subscribe. In our sunburnt country sometimes even being in a so called shady spot is not enough to keep cool on those scorching hot summer days. If you happen to be sitting under the shade of a verandah or patio that has a steel roof, the shady spot can feel like an incinerator. Radiant heat delivered from the sun is conducted through steel, this compounded with hot air rising up below the roof results in a very unpleasant layer of trapped heat that has nowhere to escape to. There is a solution though to this problem Cooldek. 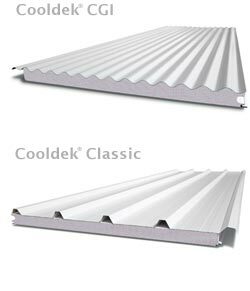 Cooldek insulated panels is a series of panels which are constructed by the clever combination of the roof, the ceiling, and layer of insulation material that combine into a super strong effective wafer with an insulation rating of up to R2.8 depending on the thickness of the panel that you choose. The Cooldek panel consists of a polystyrene core that is bonded onto a smooth coloured steel underside,along with a contoured steel topside. The underside is available in three different styles, smooth, finely ribbed silkline and largely grooved V-groove. Some people like the sound of the rain pounding down on a roof but if you are inside trying to hold a conversation, or outside entertaining whilst this pounding is going on it is not so great. This is where Cooldek comes into its own and provides a very efficient noise barrier significantly minimising the sound of the elements and practically eliminating ambient traffic noise. This means a less stressful atmosphere in which to work or party. The Cooldek verandah is also extremely strong which makes it possible to cover a span up to 7 metres, this means less beams and framework which in turn creates a streamlined modern appearance that combines functionality and style. Everyone today is concerned with rising energy costs and trying to make greener living a priority. 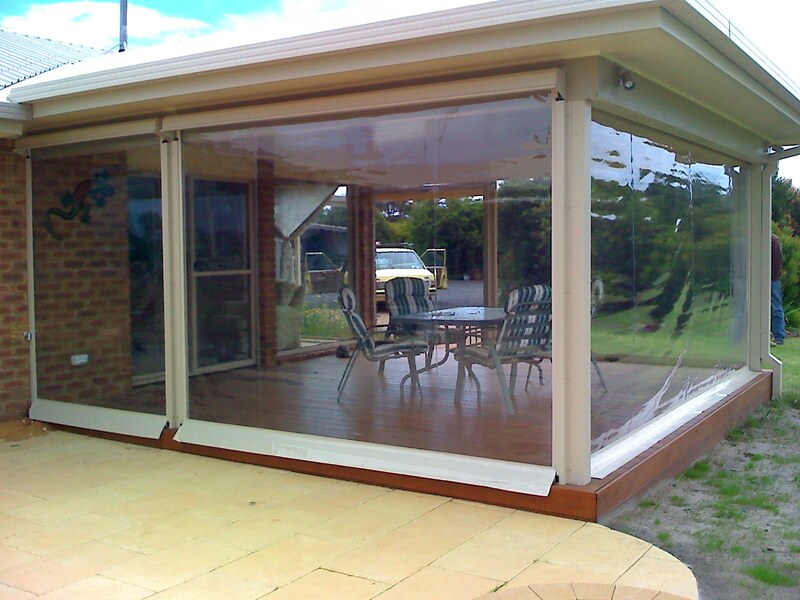 With a Cooldek Verandah installed you are well on the way to achieving these aims. 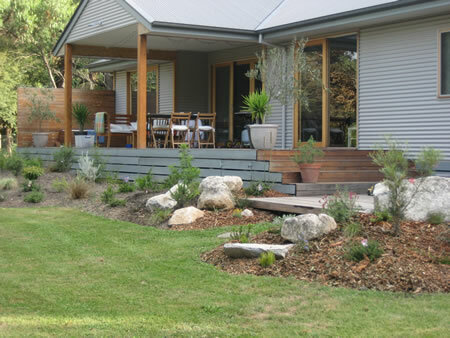 The insulating properties of the verandah help to keep the external wall of the home much cooler thus reducing the need for air conditioning. Windows are one of the worst culprits for allowing heat inside the home and this heat is greatly diminished with the verandah providing great shade which means the investment you made will pay for itself many times over in energy savings. 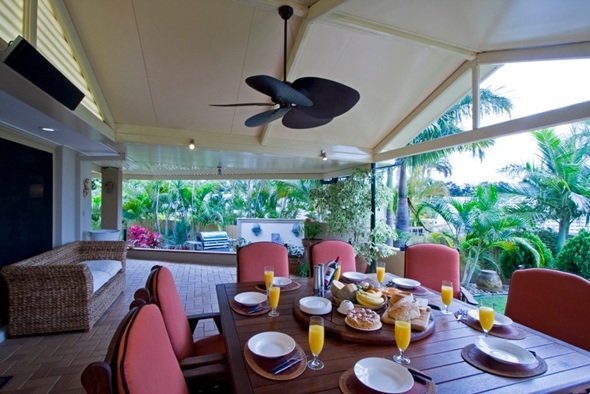 For more information about the Cooldek verandah, or any of our products, please give us a call on 03 9314 4455. Coming up next …we take a look at the diverse range of shapes we can use to create a verandah that complements the architectural style and function you are looking for from your outdoor entertainment and storage spaces. Choose a gable, curved or flat roof, or if you prefer, we can design a creative combination of two or my styles for a spectacular and functional result.